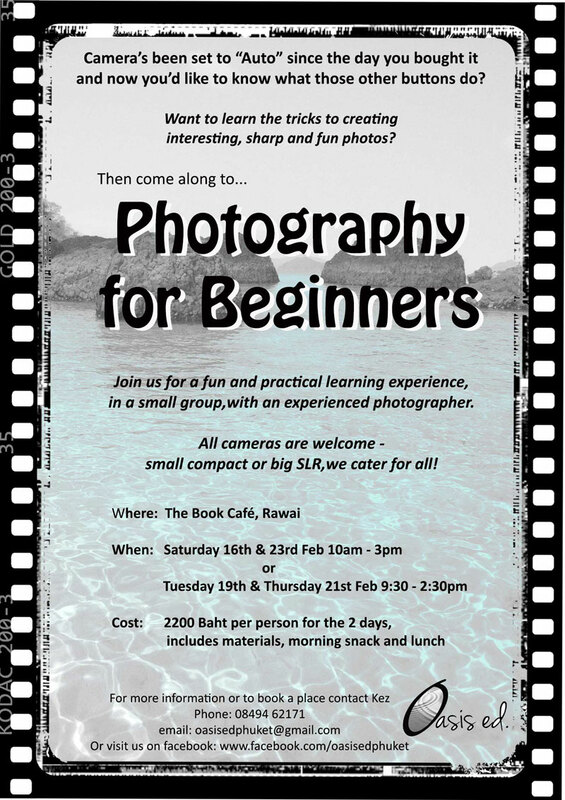 Come learn how to improve your photos, in a fun, informal and encouraging environment, that welcomes ALL camera types – small point and shoot compacts to big SLR’s. See flyer for more info. Room for hire, suitable for a workshop in Rawai / Nai Harn area. 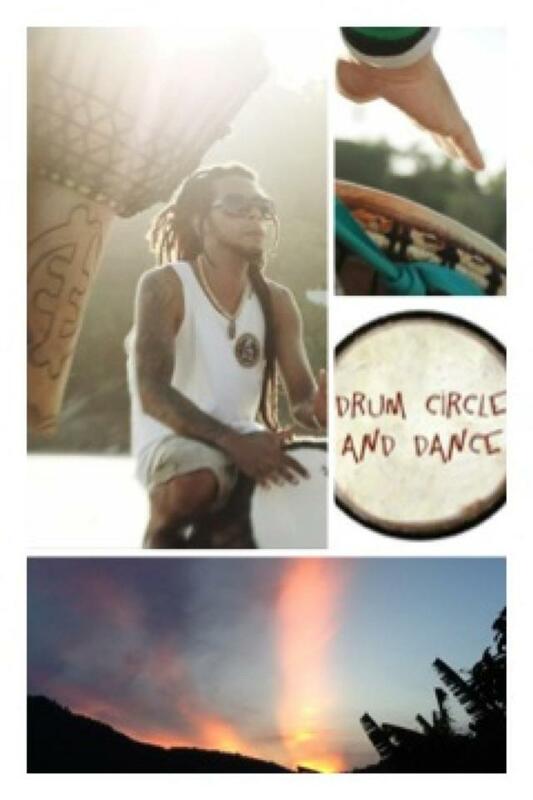 Previous w/shops have included reiki/massage, teaching English, bead-making and more. Quiet location, table & chairs if req. 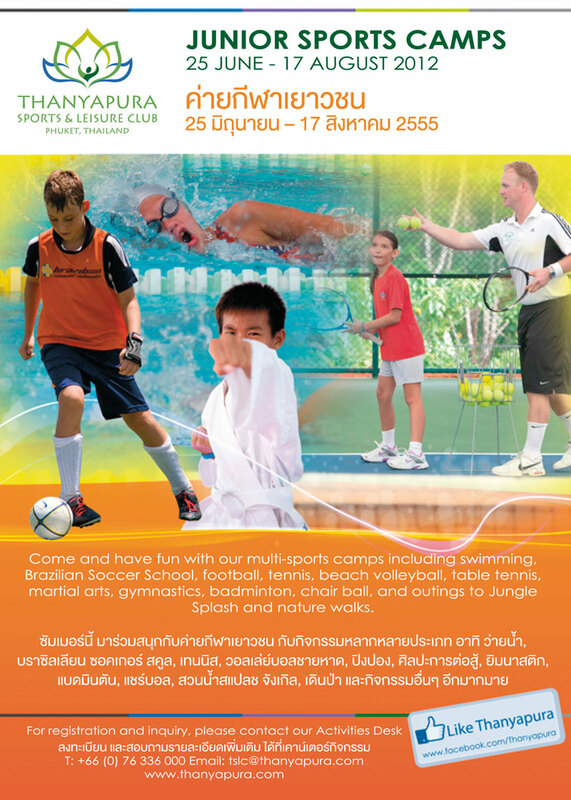 Junior Sports Camps | 25 June - 17 August 2012 Come and have fun with our multi-sports caps including swimming, Brazilian Soccer School, foot ball, tennis, etc.